For my first graduate school environmental analysis class project, I wanted to measure the emissions reduction that energy storage could provide. This class focused on Life Cycle Analysis (LCA). This measures the emissions and pollution of a product or energy source over its entire lifecycle. In the past I’ve looked at various aspects of energy storage. Measuring the effects of energy storage on greenhouse gas emissions seemed like the perfect combination of these two areas. There is an additional 20% available for products manufactured in the state of California. Must use existing transmission and distribution systems. Must be made available to all ratepayers. 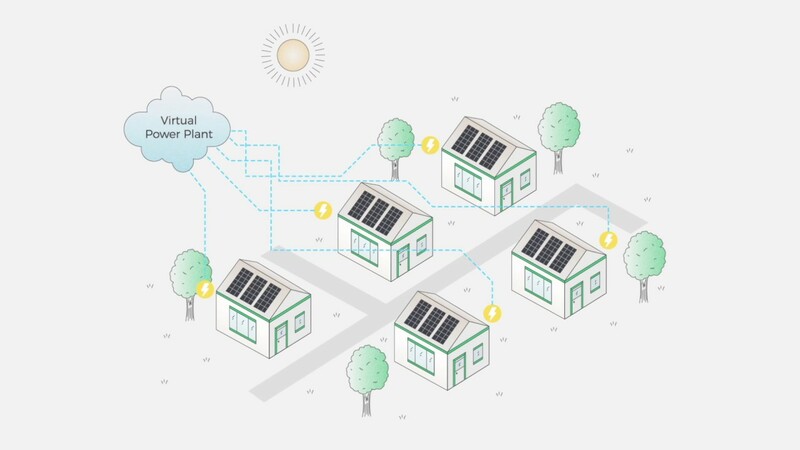 -This point and the previous point are a big deal as they don’t allow for distributed energy that is not connected to the grid. This propogates the centralistic nature of the grid allowing less independence for individuals. It also doesn’t support storage in more disconnected sites. -This is a concern becuase financial incentive may or may not be in-line between the owner and utility. There is a disconnect between who is paying for the storage (customers) and who is receiving the benefit (utility or CAISO). Success based on reduction in GHG emissions, and other emissions. -If this is the core goal of the $1.4 Billion, it’s worth investigating how much of an impact can be had. This is the core question of my research investigation. Does Energy Storage Reduce Greenhouse Gas (GHG) Emissions? Storage is not a source of energy itself. It still requires generation from somewhere and that primary source may generate greenhouse gases. Storage results in a loss in efficiency. The amount of energy you get out of a storage device is never as much as you put in. This means that you are having to generate more energy from somewhere. The overview of my analysis is to define how much CO2 is produced in a day based on a typical energy mix profile and then compare that to an energy mix profile with a greater percentage of solar. To start, $1.4 Billion can buy you 3.5GWh of storage at a price of $400/kWh. Since I’m taking a focus on taking advantage of solar and wind being curtailed, I measure the curtailment size per day in the maximum month of June to be: 85,000 MWh / 30 days = 2,833 MWh (2.83 GWh) per day. This is the limit of the size of energy that can be moved since it’s the smaller of 3.5GWh and 2.83GWh. I randomly pick a day when deciding the amount of energy California uses in a day to be 620 GWh. Dividing the 2.83 GWh stored curtailment by the 620 GWh daily use gives .456% storage size as percentage of daily use. This can be re-attributed from fossil-fuel to wind and solar. The renewable energy being curtailed and wasted during the day can be stored until the peak load hours of the afternoon. The .456% storage size percent of daily use and 620 GWh daily use will be used as the inputs in GREET. GREET is a Life Cycle Analysis (LCA) analysis tool developed by Argonne National Labs. It By analyzing the inputs and production that goes into producing a product, generating energy, or operating a vehicle, it outputs numbers on emissions and pollution. In regards to energy, it’s a fairly straightforward process of setting the percentage source mix of generation, distribution pathways, and the amount of energy. GREET then outputs pollution quantities. Plugging in the daily production of 620 GWh and using the base electricity generation mix that GREET assumes, I get a pollution level of 206,282 tons of CO2. In my increased storage case, I reduce coal and NG by .228% each (.456% / 2), and increase a solar plus storage source .456%. This source includes a 80% battery efficiency pathway. This results in 204,165 tons of CO2 produced. In a third case scenario, I assume that storage costs are reduced to $200/kWh making the total storage size 7GWh. I assume that this is able to be fuly used because there is also increased solar or wind made available. This best case scenario gives a result of 201,022 tons of CO2. The percentage generation mix in this scenario is shown in the following pie graph. The results of the analysis are summarized in the following table. The columns contain the carbon output in a day, how much carbon is saved over 15 years, and the cost of that carbon reduction based on the $1.4 Billion. As you can see the $49-$120 cost to reduce a ton of CO2 is in the low to middle range for the estimate of the social cost of carbon. Based on these assumptions, storage can be an effective mechanism for reducing GHG emissions when properly coupled with clean energy sources. There are a few caveats about this analysis. The biggest is that it makes some gross simplifications. Storage is very complicated as to the effect that it can have, but I employ it in a simplified manner in order to keep things simple when studying its effects. There are many different ways to get value from storage that are more complicated than hourly energy shift. How the storage is employed can make a big differnet as to the carbon reduction effect it will have. The other uncertainty comes from the input assumptions I used. I tried to make reasonable assumptions and research the numbers used; however, many of these numbers have a wide range or are difficult to estimate such as curtailment or daily energy use. Others numbers such as the cost of storage continue to fall and change quickly. More important than the exact numbers is the understanding of the mechanism by which storage is able reduce carbon emissions. Storage is able to reduce carbon emissions in spite of the downfalls of reduced efficiency and the fact that it is not itself a source of generation. As more solar and wind come onto the grid with falling prices, storage will be able to ensure the reliability of the grid with reduced GHG emissions. Wednesday, May 10th, I went to USGBC Chicago‘s panel discussion in Chicago about climate change, Defining Carbon Drawdown: What it Means for Chicago and the World. The focus was on the book Carbon Drawdown: The Most Comprehensive Plan Ever Proposed to Reverse Global Warming by Paul Hawken. The book presents realistic and attainable solutions to climate change. Up for debate was which efforts to focus on in Chicago. The panel included 4 speakers from different environmentally-focused positions in the Chicago area. Everyone agreed that more needs to be done, but there was considerable debate about what to prioritize. Jenny Carney was the moderator and she did an excellent job directing the conversation. Jenny is a principal at YR&G working to improve the performance of existing buildings. Note: I’m using Chatham House Rules and not attributing who the idea came from partly cause I don’t want to mis-attribute and I don’t want to misrepresent what anyone was saying. When this idea was first mentioned, I thought I was missing something because I knew that CO2 is used by plants in photosynthesis. Everyone learns this in elementary school biology. However, the idea is that that there are natural sources and sinks of CO2. These main sinks of the ocean and forest are already part of the natural cycle of CO2. They can’t compensate for additional human produced CO2. This increase in CO2 can effect the equilibrium for hundrends of years having a profound effect on the climate. This is explained by Archer himself in the paper Atmospheric Lifetime of Fossil Fuel Carbon Dioxide the idea is succinctly summarized in the Nature Reports article, Carbon is Forever. Different greenhouse gases have different sized potentials for global warming. The Global Warming Potential (GWP) is a measure of how much a gas will cause the earth to warm over a period of 100 years. It takes into account 1. how much heat they absorb and 2. how long the molecule lasts in the atmosphere. GWP is measured in units of CO2 equivalents (CO2e) since it is based off CO2‘s impact which has a factor of 1. Refrigerants such as hydrofluorocarbons and perfluorocarbons can have up to 1,000 times more impact on the atmosphere than CO2. Agriculture is both a contributor and victim of global warming. According to the Consultative Group on International Agricultural Research (CGIAR), it makes up one-third of all global greenhouse emmisions. These include sources from agricultural production itself (tilling the soil releases N2O), fertilizer manufacture, supply chains, refrigeration, and indirect deforestation. This means that changes in this sector can have an outsized impact on overall greenhouse gas emissions. It is of concern for agriculture because it will also feel an outsized impact of the efects of global warming. The same report estimates impacts o f decreased productivity of up to 10%-20% by 2050. This will require adjustments to what kind of crops are planted, how crops are planted, and when crops are planted. There was some contention about whether it was better to approach the problem through government or business. On the government side is the impact of Corporate Average Fuel Economy (CAFE) transportation standards and the Clean Power Plan. The point was made that these will be necessary to reach the 1.5% °C limit to global warming called for by the Paris Agreement. CAFE standards set mpg efficiency minimums for car company’s fleet of vehicles as a whole. The latest was put forth a standard of 54.5 mpg by 2025. Phase 2 of the standard could save 1.1 billion tons of CO2 and 2 billion barrels of oil. This not only goes a long way to achieving the Paris Accord, but also saves consumers money at the pump. This is under threat from Trump who ordered a review of this proposal. Final decisions might not come until April 2018.On the other side was the argument to pressure businesses by highlighting the business risks. The idea is that if you convince companies that global warming will impact their business not on a long-term timescale, but in the short-run, they will be much more likely to change their behavior. This is being done by the Corporate Climate Alliance. They are lobbying companies to recognize these risks and incorporate them into their decision making. There is the slight problem of “Why me?” Why should any one company make any change when others won’t? This is a game theory issue where everyone needs to commit to action. It is the same issue countries are facing at a global community level. The middle class and below are not able to take advantage of the majority of energy efficiency financial savings. There are two main reasons for this. The first is that most energy efficient products are more expensive. So, even after the savings, these products are more expensive thn the least-cost option. The lower-income consumer will choose the lowest-priced option which is less efficient. This continues to exarcerbate wealth inequality. The second reason is because the lower-income tend to be renters. In the owner-rentor scenario, there is a disconnect with energy efficiency investing. Why should an owner make the investment when they don’t pay the utility bill? And why should a rentor pay for the investment when they won’t be around long enough to re-coup the investment? The solutions that are come up with need to be specific, measurable, and long-term in order to be valueable enough to have an impact. This is true for any endeavor. Being specific ensures that the change is tangible, real, and clear. Measuring ensures that it happens, creates accountability, and gives a metric for its impact. Long-term solutions are non-frivolous and are make a real change. Investors can have a major impact on how companies behave. One mechanism for this is for corporate boards to put pressure on management to address climate change risks. One recent example of this is Occidental Petroleum’s Board voting to have the company assess risks to climate change against management’s recommendation. “The vote puts the oil-and-gas industry on notice”, said The Nathan Cummings Foundation. Expect to see more boards to raise the issue of climate change impact to companies which will make it harder to deny. During the Question and Answer period an audience member had the idea to mobilize high schoolers to raise awareneess about global warming. The idea was that they are a large and energetic group that could be put to work. They could be motivated by different incentives including gaining extra-curricular experience to put on their college applications. The speakers agreed this is a good idea, but was already being done as part of programs such as USGBC’s EPIC Challenge. This is a program intiated by USGBC to engage, empower, and educate all the communities across Chicago to make an impact on carbon drawdown. The mayor of Chicago, Rahm Emanual, and the city of Chicago announced that city buildings will be 100% renewable powered by 2025. Other cities have announced similar goals for the entirety of their cities. Only the three cities of Aspen CO, Burlington VA, and Greensburg KA have achieved the status so far. Yet, there are many more who are working towards this goal according to Go 100% Renewable. It’s tough to say exactly what their measure of being 100% renewable means because there will always be times when renewable energy can’t be had. Oftentimes, carbon offsets can be bought to say you are using renewable energy. It will be interesting to see what the city’s plan all includes because putting solar panels on top of the Shedd Aquarium to get a 50% reduction in energy use is different than getting to 100% on all buildings. Chicago’s choice to use LEDs in streetlights influences other municipalities to also use LED streetlights. Part of this is other municipalities recognizing the benefits and feasability of doing this after seeing Chicago do it. Another part of this is the buying power a big city has to make LED lights cheaper. Since Comed was picked to buy and install the lights, Comed will then go to other municipalities with better deals on LEDs to stay consistent and buy in bulk. The event brings up the two most difficult problems of fighting climate change. 1. We need effective, tangible solutions. 2. We need a shift in mindset that gets public support of solutions. Tell someone you did it. More information about the book is available on the Carbon Drawdown site.